Free Shipping Included! 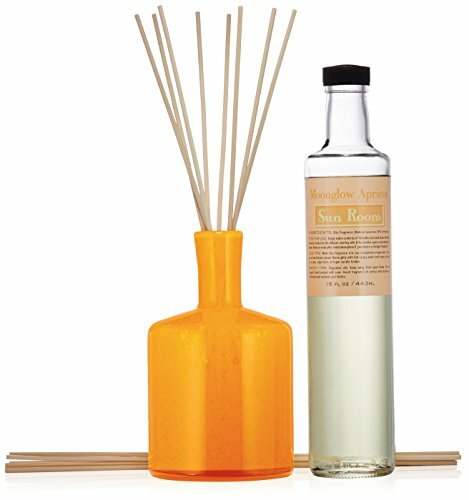 LAFCO House & Home Diffuser, Sun Room Moonglow Apricot, 15 Fl Oz by LAFCO at Lonkoom Perfume. MPN: HD33. Hurry! Limited time offer. Offer valid only while supplies last. Our hand blown glass diffusers filled with natural essential oil based fragrances, unite home fragrance with art to create the perfect ambiance. Our hand blown glass diffusers filled with natural essential oil based fragrances, unite home fragrance with art to create the perfect ambiance. Fragrance: sweet, fruity and fresh; a juicy mix of apricot with touches of lychee and white tea.